I would definitely love to play your channel scenario. I havent seen a scenario before that focuses on that area of the map. will further work on it today...hope it will be ready in two or three days. The Channel map looks awesome so far! Where is the rivers GRF from? I cant find it on the fruit store. EDIT: Nevermind i found it, really nice map. Thank you...do U think there have to be more cities ??? This is how I actually create scenarios at first....with no Industry..
because....there are players which prefer ECS, FIRS or PIB...or only just OpenGFX+Industries with different settings. You are able to load my Scenario and you are free to add as any Industry you want to, you prefer to...and so on. But for this.....i have to dive deep into Google Maps for every city I`ve bulit in scenario...so ..it would last many many time to finish it. I have a lot of experience with the creation of various kinds of scenarios. I know the problem with the preferences of the players - one prefers FIRS, other just standard industries. 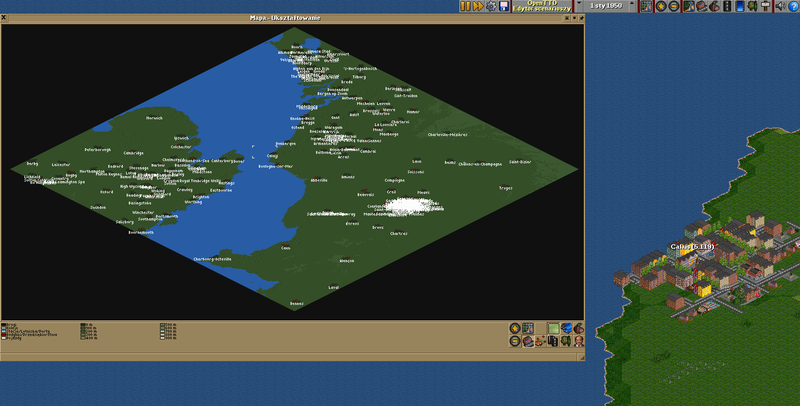 First version of my scenario was manually created map with standard industries and some NewGRF. Any change NewGRFs could case error - for example, sometimes it was impossible to replace trains automatically. Anyway - the second version I saved in text files (precisely - coordinates of any objects). Take a look at Reproducible map generation - this is great tool for import objects (like towns, rivers, rocks, lighthouses etc.) from specially formatted TXT files. 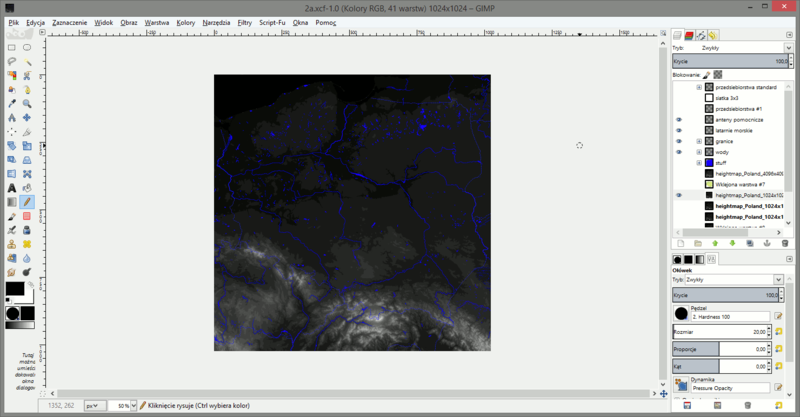 So now, when I must change some NewGRF or just generate scenario in other climate, there's no problem with. This solution is very forward-looking and I'm happy that I did it this way ;) I recommend it to you too. That's not the only problem, that is the biggest of all in my Opinion,. Take a look at my scenario....it it not rotated by 45 degrees..it has real direction!!! You don't understand - if you want to use these tools, you must have not-rotated heightmap, it must be like a real maps are (north at the top, not in the corner). Unfortunately, 'Town list downloader' divides the cities into their districts, but it's faster to delete them and increase city size than place all cities and towns on whole map manually. Edit: I forgot I have one more patch applied in my compiled OpenTTD - minimum towns distance decreased to 1. So you'll get cities only, instead of cities and districts (they will be placed as signs). Again.....your north will be Nortwest in real .... don+t like to build maps like this !!!! So....if there is a chance to use your "reallynicegimmicks".... so .... code them for 45° Degrees sided maps that really looks like REAL NORTH and real SOUTH !!!! And.... sorry. but I always like it to place towns on my own...and many ohter things. Feel free to use your gimmicks for your own....not my kind of thing..sorry!!! Thanx...but i think: A good scenario isn't build quickly ..it has to take time!!! I had been wondering about one thing: Seeing that the sea is on sea level (haha), it is impossible to lower land and build tunnels under the sea. What would usually be a mere gadget becomes critical in this map, as it would be really nice if one could build the channel tunnel (rather than the channel bridge). Could it be a workaround to raise the entire map by one level (it does not look like you are using all available height levels) and thereby have the sea at level 1 (rather than level 0) which would allow me to build the tunnel? Never mind though if it means reworking the entire map. There is no sea at level 1.